What will be taught in the workshop? Having issues finding your perfect foundation shade? Dying to get that 100 watts glow without looking like an oily ration? Want to learn to cover dark circles and acne scars? Here is an outline on what will be taught, we will start from the basics and cover everything for a full flawless makeup look and everything in between. Basic skin knowledge on how to identify your skin type and complexion. Prep/Prime for the flawless finish according to your skin type. How to fill in pores/fine lines. How to cover acne scars/dark circles. Full Coverage Matte Foundation that will last for up to 16 hours! Dewy/Natural Foundation whacks Illuminating/Highlighting/Strobing Baking/ Sandbagging. What will be taught in the workshop? The most awaited workshop Make Up Craves is here! @fashionistasarag Call: 03378640688 Having issues finding your perfect foundation shade? Dying to get that 100 watts glow without looking like an oily ration? Want to learn to cover dark circles and acne scars? Here is an outline on what will be taught, we will start from the basics and cover everything for a full flawless makeup look and everything in between. Basic skin knowledge on how to identify your skin type and complexion. Prep/Prime for the flawless finish according to your skin type How to fill in pores/fine lines. How to cover acne scars/dark circles Concealing/Color Correcting. Full Coverage Matte Foundation that will last for up to 16 hours! Dewy/Natural Foundation whacks Illuminating/Highlighting/Strobing Baking/ Sandbagging. The blush on Science. Terms & Conditions : Fees: 4k for 3 looks from natural glam to heavy glam and party makeup. 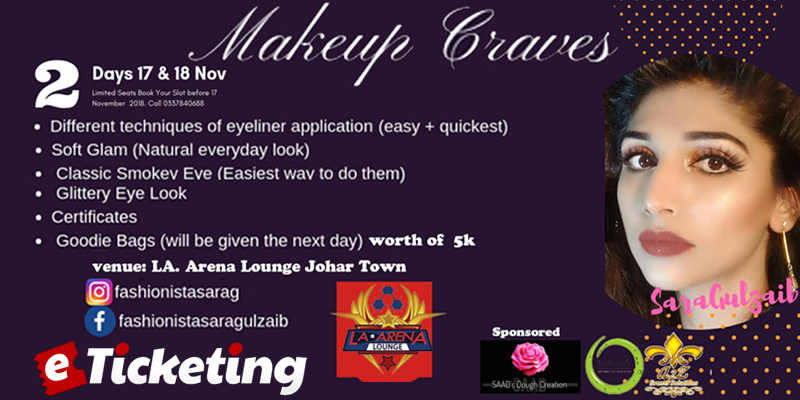 Venue: La Arena Lounge Johar Town Dates: 17th and 18th November Goodie bags worth 5k 1st Day Sechdule 12:00 PM - 02:00 PM 1st Look Nuetral No Makeup Look 02-00 PM - 04:00 PM 2nd Look Smokey Eyes Look 04:00 PM - 05:00 Pm Refreshment & Lunch 05:00 Pm - 07:00 Pm Heavy Glam Evening Look 2nd Day will be practice and Question Answer Day and Goodies Bag distribution & Certificates (Certificates + Goodie Bags of worth 5k will be given the next day). 2 Days Makeup Workshop Booking Fee for this workshop is Rs.4000/- Only Goodie Bags of worth 6k+ will be given on 2nd day of workshop 18th November 2018 Payment is not refundable hurry up book your Seat now. Best Viewed at 1024 x 768 pixels and above. 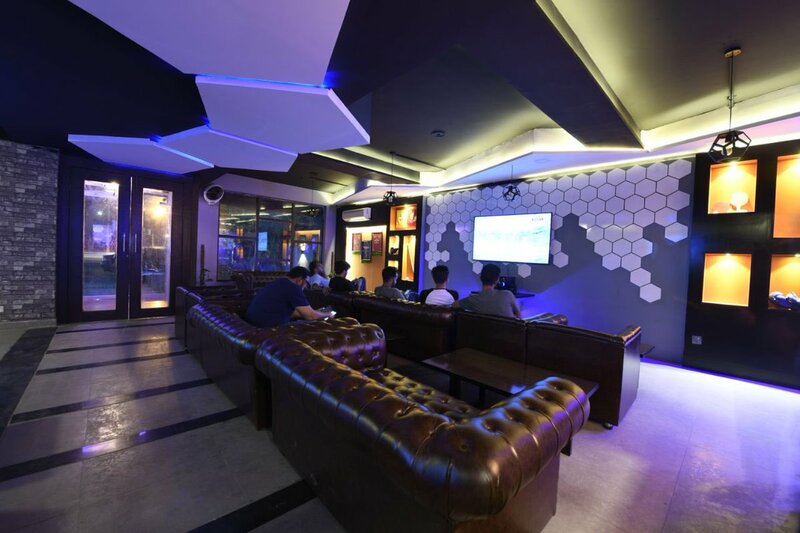 This Page loaded in 0.05206 seconds on Tue, Apr 23, 2019 (13:08).